Chelsea midfielder Ruben Loftus-Cheek has admitted he got a 'warming feeling' from hearing the Crystal Palace fans sing his name during Sunday's Premier League game between the two sides. The England international spent last season on loan at Selhurst Park, where he scored twice in his 25 appearances for the side. His performances helped Palace finish in 11th place, while earning himself a spot in Gareth Southgate's World Cup squad for England. The young star remains a popular figure at ​Palace and has been linked with another loan spell at Roy Hodgson's side in January. The Eagles' fans made their feelings for the midfielder quite clear as they sang ​Loftus-Cheek's name when he warmed up in front of them on Sunday. Speaking to ​Football.London about the affection shown to him, Loftus-Cheek said: "It was a really good reception from the Palace fans and when I was there, it was great. "The fans were great and it is one of the best atmospheres I have played in front of, so to hear them sing my name was a warming feeling." He added: "It is always good to see Roy [Hodgson], Ray [Lewington] and the boys. I thought they did well and they were unlucky. 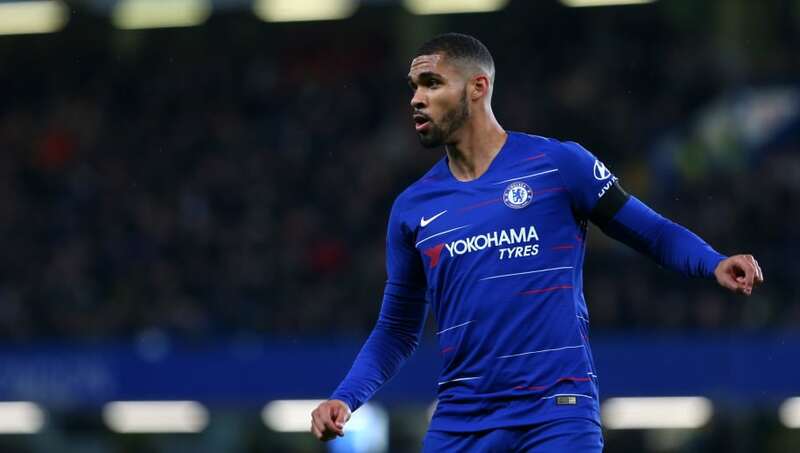 Despite not making an appearance in the game - as he remained an unused substitute - Loftus-Cheek insisted he would have been professional had he been asked to play. He revealed: "I respect the club a lot, but when you play football, you are professional and whichever team I am playing for, I am playing for them and that's how it is. "It would have been nice to come on, but hopefully I will get to play against Palace next time." Crystal Palace will face another daunting task on Saturday as they host Tottenham, and this time they will hope to be on the winning end against another London rival.